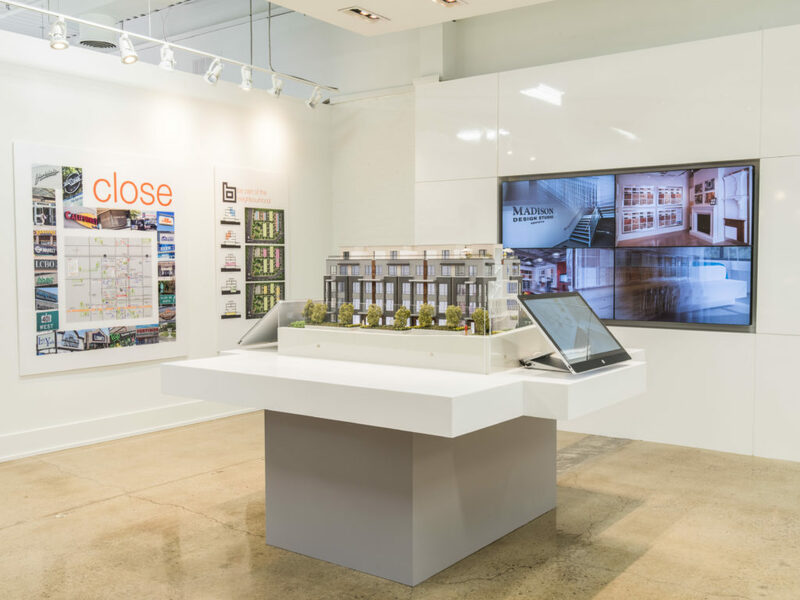 Inspiring future residents of this site envision their homes, this sales centre was a collaboration between the developer and our Interior Design team to create a space that represents the ambitions of the project. 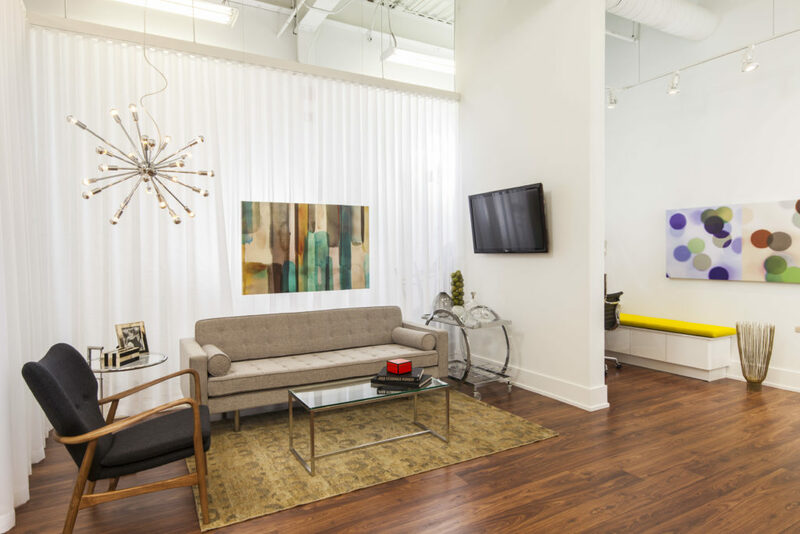 Bold pops of colour set against crisp white walls, the Briar Hill City Town sales office is instantly welcoming. 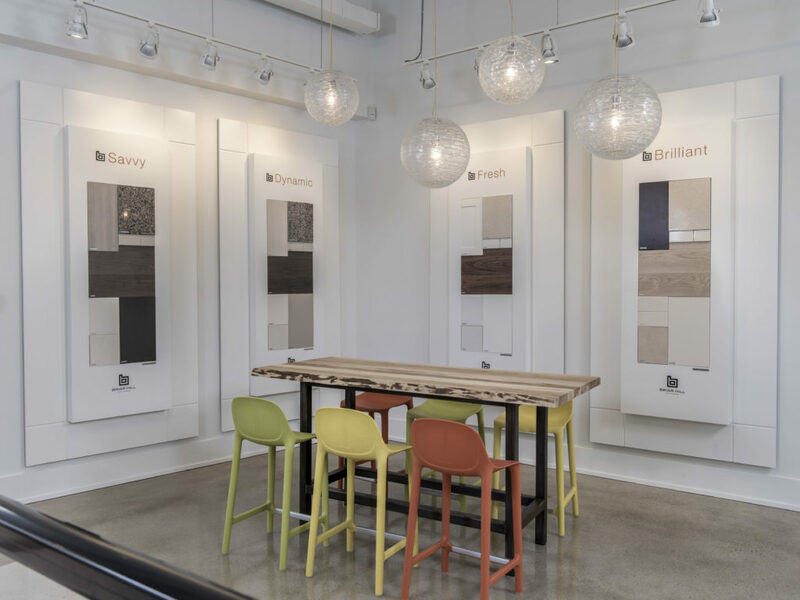 Reflecting the nature of the site, and the client’s desire to have a sales office that felt like ‘home’, this project was led by Turner Fleischer’s Interior Design department, with necessary support and collaboration from our other inhouse teams. Texture and form was central to the cetnre’s success and included the creation of a feature wall, using the ‘B’ from the development’s logo, which was repeated to create a subtle texture behind the front reception desk. A challenge when trying to realize the client’s ambitions for Briar Hill City Towns Sales Office, the project was built into an existing raw space. 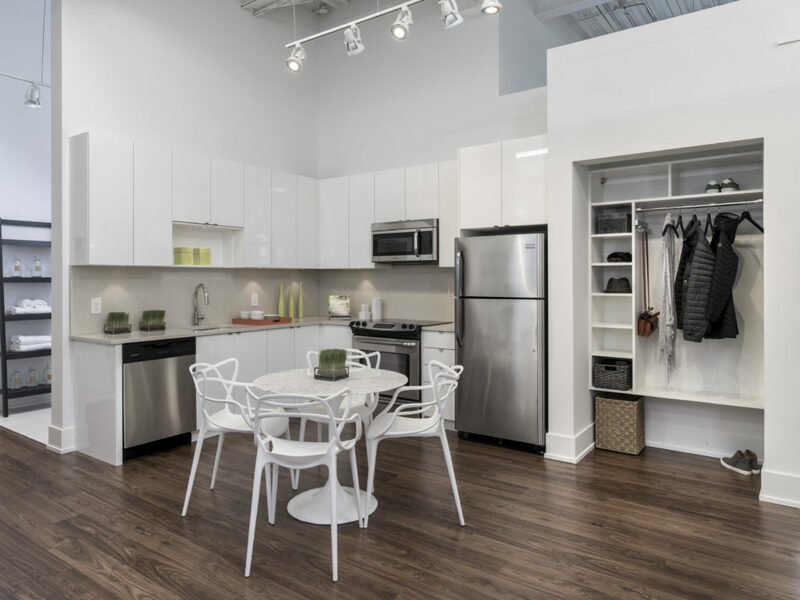 Ultimately concrete floors and exposed ceilings were retained to reflect the urban nature of the mid-town Toronto development. 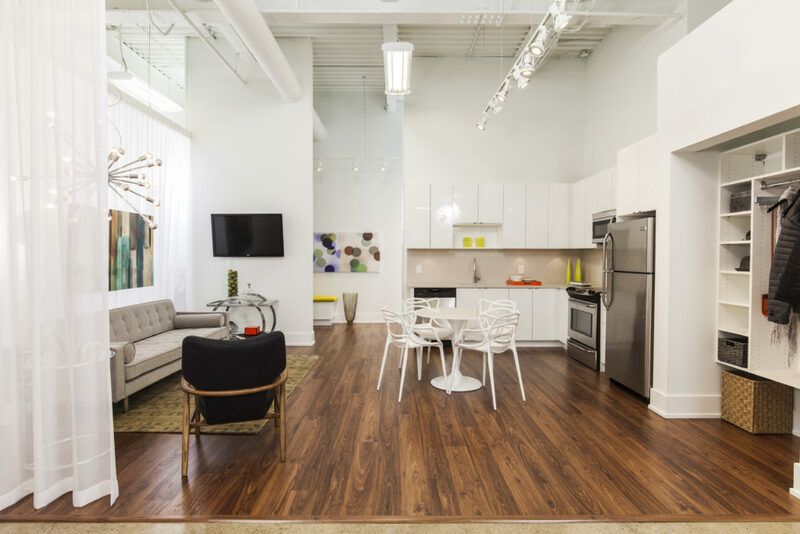 This look was extended into an eclectic mix of modern inspired furniture, which was used to furnish the model vignette, appealing to the wide demographic range that would live in the development.